Since its opening *SCAPE housed many bazaars and flea markets which kept attracting a young and hip crowd. *SCAPE Bazaar is the current flea market organised by The Duke's Bazaars. From selling fashion accessories, original knick knacks to hand made collectibles, this place also draws the young creators who can rent a table space. 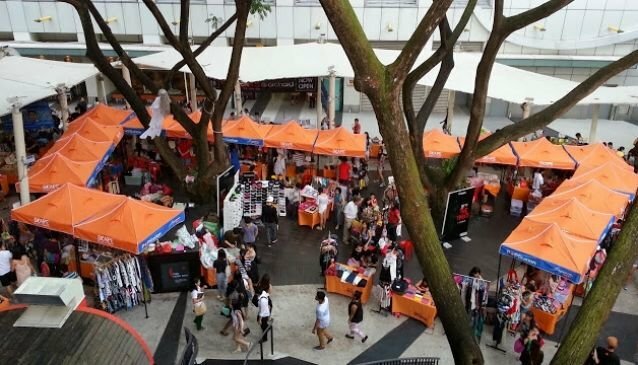 It is located on the Orchard Road area along Orchard Link, right next to the movie theatre Cathay Cineleisure and Mandarin Orchard Singapore Hotel. Check their website http://www.scapebazaar.com for more details.